Today is a simple lunch which includes my daughter’s lunch box dishes and a stir fry for us. 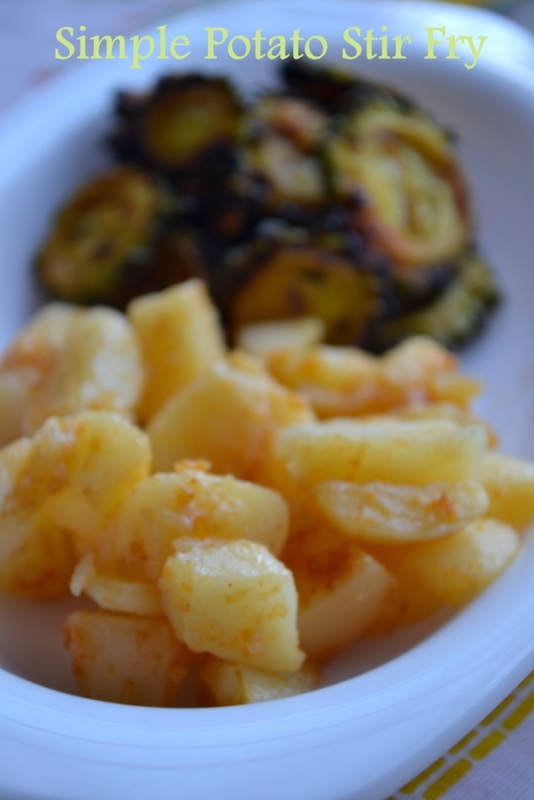 She took mangai saadam to school along with her potato stir fry. I prepared the potato to suit her taste. We had it along with bitter gourd roast. 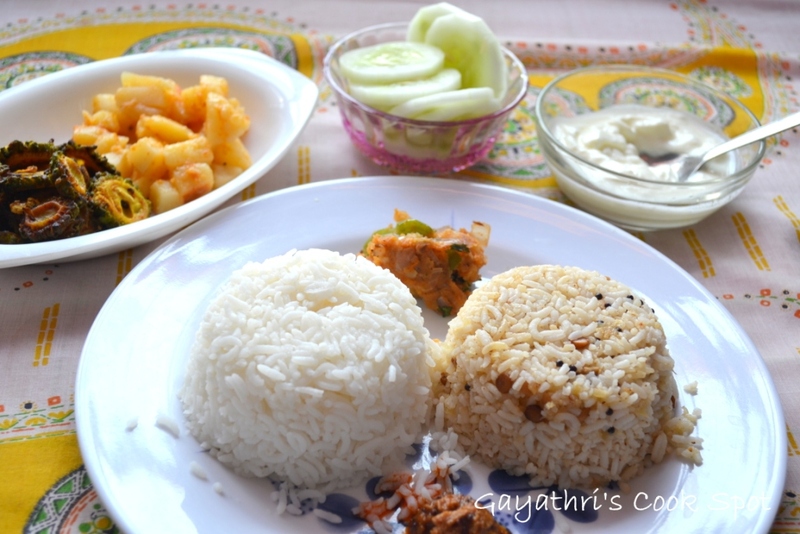 There was a bowl of cucumber slices to cool the heat and of course, curd and pickle along with plain white rice to complete the meal. It was simple yet satisfying. 1. Remove skin and grate the mango. 2. Heat oil and add channa dhal. 3. Stir on medium flame until it becomes golden. 4. Add mustard and urad dhal. Add curry leaves. When they crackle add mango and saute until it leaves oil. 5. Add the idli milagai podi and methi powder and stir. 6. Switch off flame and let it cool. 7. Mix with plain white rice and serve. 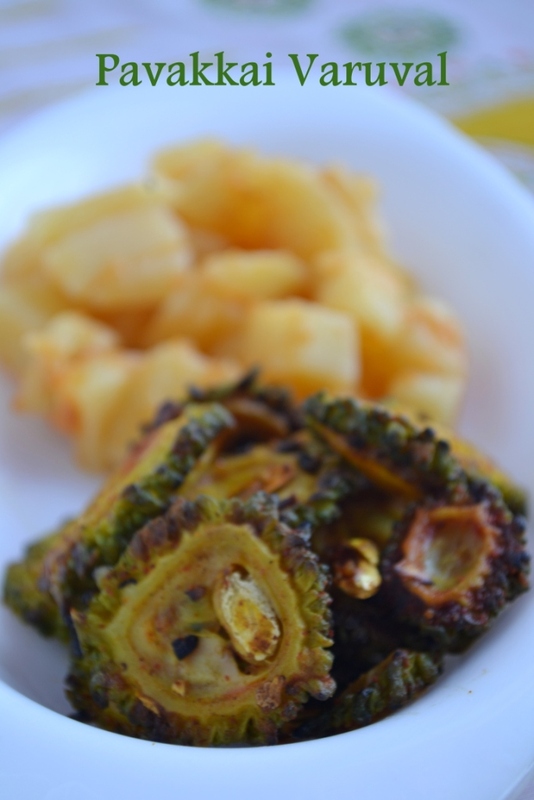 great food..like the pickle..loks real yum.even karelas..dont u all peel them? Comforting and simple food. All the clicks are good. Lovely clicks and nice to know your lil one eats that sadam! Yumm, mango rice and potato stir fry,both makes me drool..again a fabulous spread..
Not a simple but a delicious spread to me..
A tangy and delicious yet easy to make rice,looks tempting..again a wonderful spread with nice captures. Mango rice is my new found love. Planning to make some soon :). Lovely thali, simple and nice. adding idli milagai podi sounds new!!! 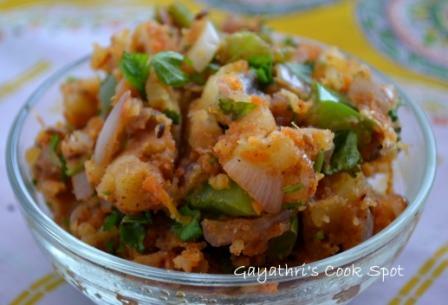 i make it with normal red chili tadka, this looks yum and suited for the lil one’s taste!!!! 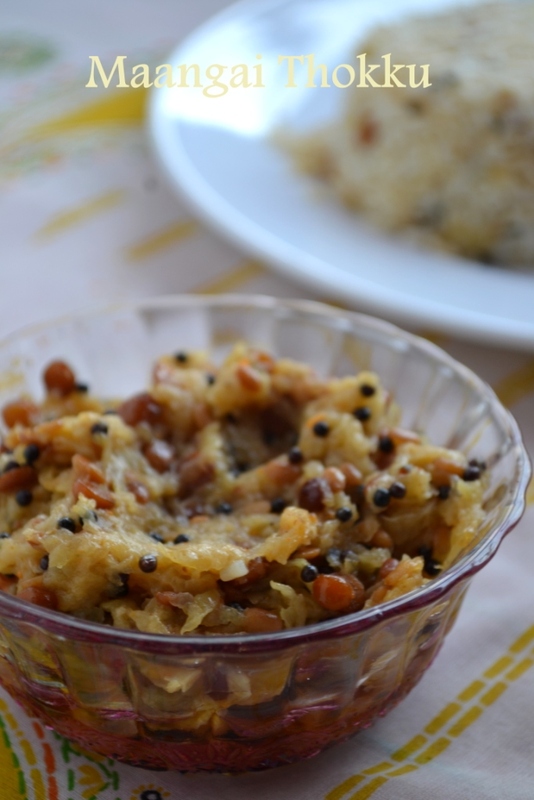 Love the addition of idli milagai podi to mangai sadam! what a delicious platter…i loved the mangai sadam the best…can u also link it to the mango mani 99 fest happening at my space. 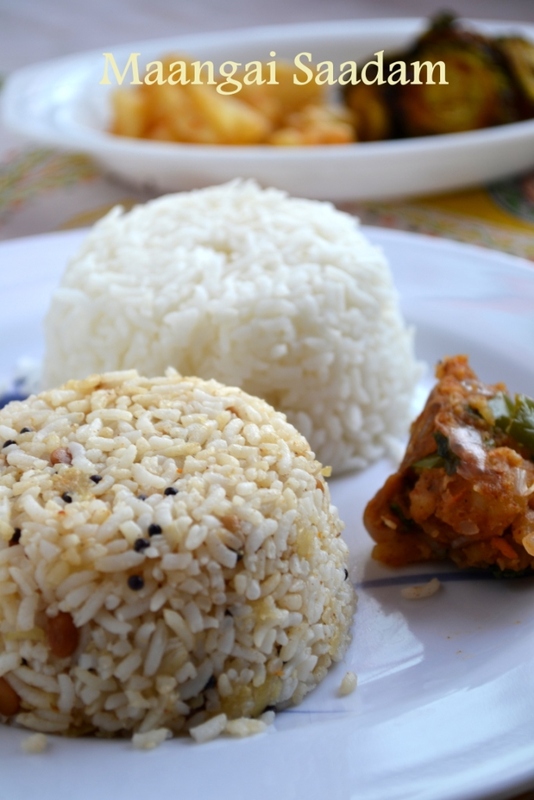 Manga saatham is my favorite in the variety rice category, right after thayir saatham ofcourse! Great lunch Thali! nice spread.. love manga saadam anytime !